Getting started at Studio SWEAT is simple! Whether you’re taking a Spin® class, a TRX® class or a Special Training, you can get started in a few easy steps! Sign up to create an account online to use our online reservations system. Check out our amazing Trainers and find a class or training to kick off your first Studio SWEAT experience. 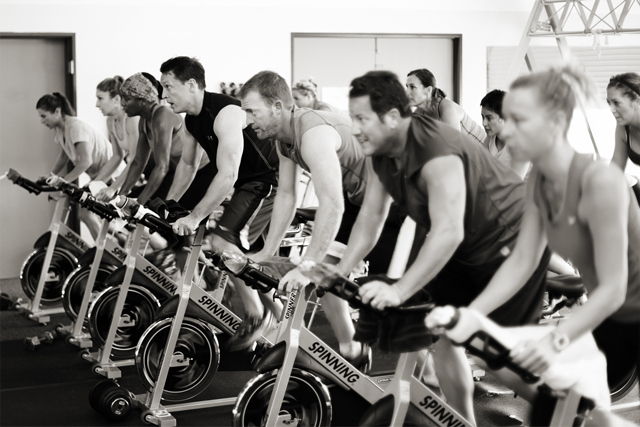 Reserve a class online, email us at reservations@studiosweat.com or call (858) 485-0234. Remember, your first class is always FREE if you’re local! If you’re new to Spinning® or want to know more about the basics, watch our video called the Beginner Spinner®. Go to class and HAVE A BLAST! Grab some water and a hand towel to bring, then when you show up for your first class, let the front desk know it’s your first time and we’ll be happy to show you around and get you started.